Jessica comes with 22 years of teaching experience in Memphis, Chicago, New Orleans, and Humboldt and 15 years experience in real estate while living in New Orleans and Humboldt. She can help you with purchasing your land, a lot, your home, or your commercial spot. 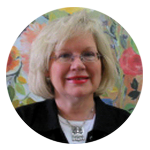 She has experience in flipping homes, refurbishing homes, rental houses, Hud Homes, foreclosure homes, and fine estate homes in West Tennessee. We here at Pritchard Realty can help you with real estate in Tennessee and the other 49 states.